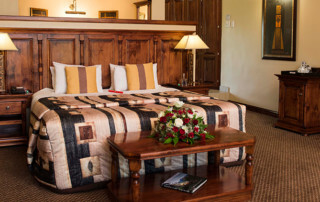 CATHEDRAL PEAK HOTEL, founded in 1939 by the well-known van der Riet family, is situated in the majestic uKhahlamba Drakensberg Mountains, within a World Heritage Site. 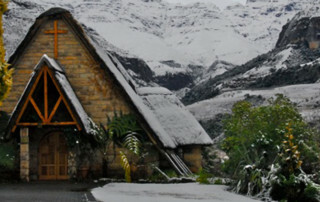 Located approximately 4.5 hour drive from Johannesburg and 2.5 hours from Durban, it is easily accessible by road. 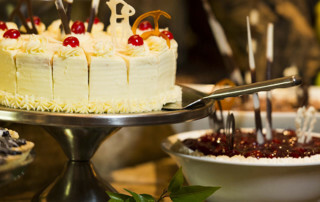 The family still owns and runs this 4 STAR hotel, famous for its hospitality, service and culinary excellence. 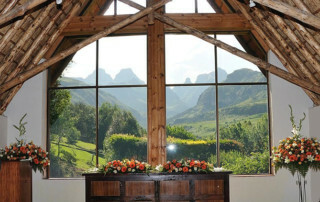 This, combined with its magnificent views and setting have made Cathedral Peak Hotel a favourite destination for both local and international guests. Their charming stone-and-thatch chapel is built from stone blocks and wooden beams sourced from the original farmhouse, and set in beautiful gardens, making it a firm favourite resulting in many couples choosing it as their idyllic wedding venue.